Full Day Fishing Racha Yai & Racha Noi. 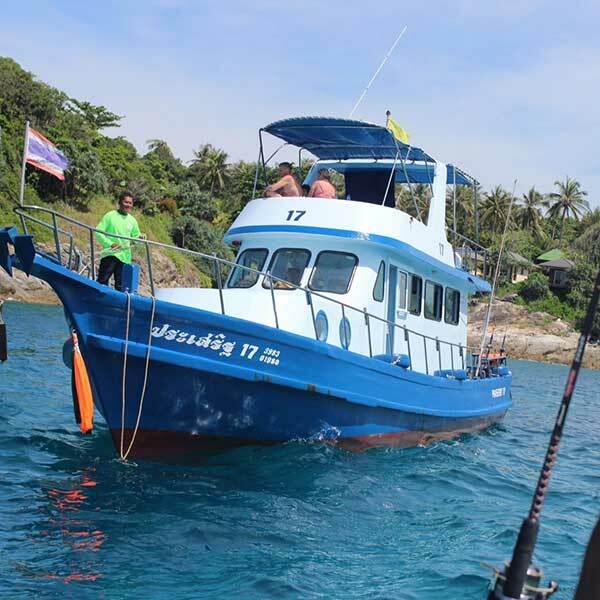 If you like a day out on the boat fishing, take a look at this Full Day Fishing Racha Yai island tour. You don’t have to be a professional or even have any fishing experience at all, the crew are great and will show you what to do and help you get your lines in, and your bait on the hook. You start by trolling out of Phuket and over to Racha Yai Island. When you get there you go to Racha Yai fishing point. 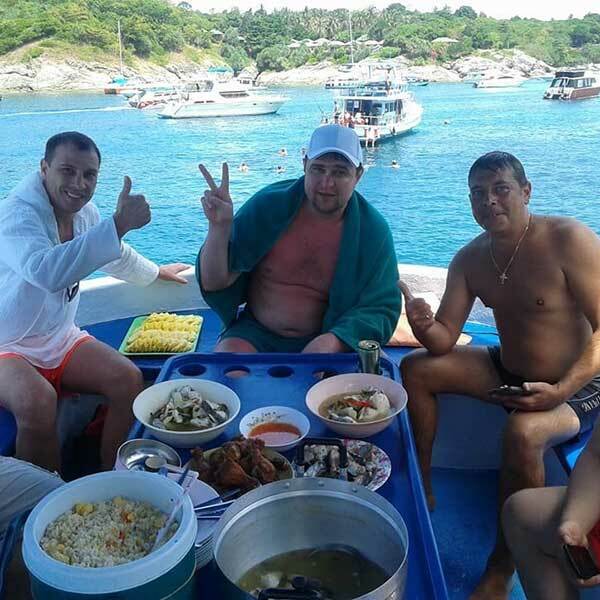 Enjoy a tasty Thai buffet lunch on the boat and after lunch if you feel like having a swim and a snorkel, all the equipment is provided for you to do so, or, if you just want to sun bathe on the boat and relax on the boat you are welcome to do that. 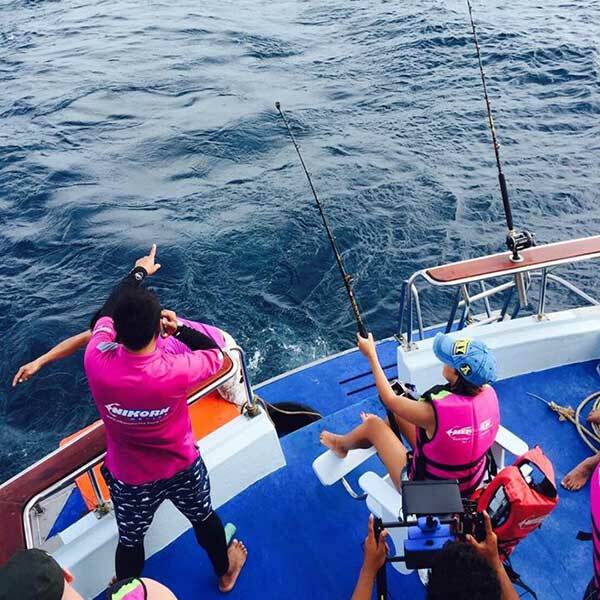 While theboat is stopped You will also get some bottom fishing in before you commence on the ride back to and pull up those bottom fishing lines, and then change to fishing rods and drop those lines in and do some trolling on your way home. A great day out on the boat. 08.00-08.30 Pick up from your hotel to Chalong Pier. 09.00 Departure from Chalong Pier. 15.00 Leave Racha Yai Island by Trolling back to Chalong Pier. 16.30 Arrive at Chalong Pier. 17.00 Transfer back safely to your hotel. Electronic, VHF Radio, LENGTH : 18 m.Telephone, GPS, BEAM : 5 m.Sounder, Kitchen, SPEED : 9-10 Knots.2 Cabins, living room, ENGINE : Hino 320 HP.Shower and toilet MAXIMUM : 20 passengers. 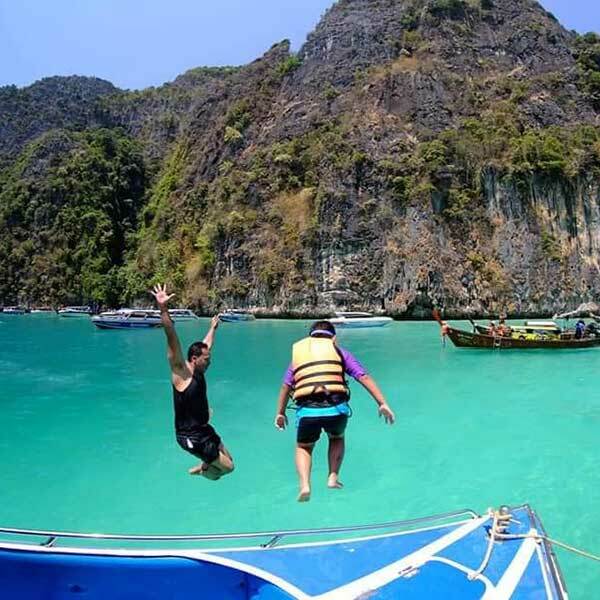 Full day 6 Island tour Krabi. A full fun packed day of island hopping, exploring caves, eating and snorkeling and swimming. 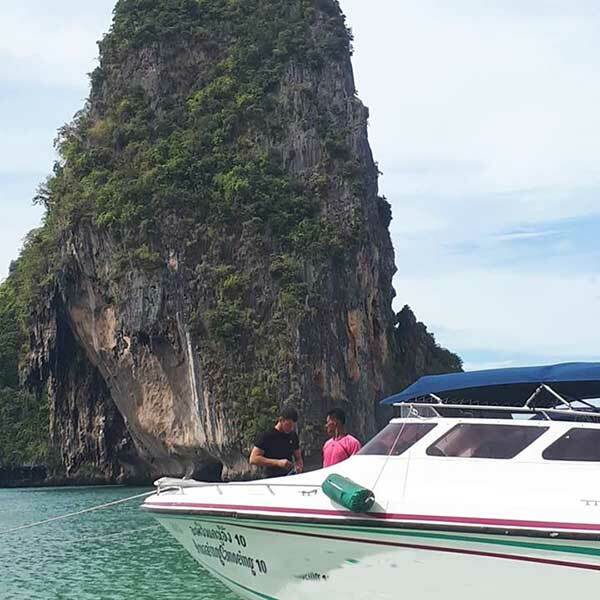 Visit some of Krabi’s famous Rock formations, this is a really great day out on a speed boat and cruising around. Phi Phi Island Maya Bay Khai Nok Island Speedboat. Enjoy the snorkeling and swimming in the turqoise waters, pileh lagoon is like something out of a beautiful dream. If you prefer to stay on the boat you are welcome to do so, or stay on the beach. This is a really popular trip. Fishing snorkeling Koh Madsum Koh Tan Tour. Whether you have experienced fishing or you are a first timer, you will have a but of fun trying to catch some fish. The team will show you what to do. This is also a great day or snorkeling and swimming.